Mothering Sunday is a special day to honor Mother’s and maternal figures around the world, and here at Thames Rockets we LOVE our Mums! Whilst we celebrate it in only the way London Speedboats can, it was originally a time when people returned to their home town. This meant that this was a time for families to reunite (which is something we are ALL about at Thames Rockets!). Traditionally, people would fast for Lent during this time, meaning Mothering Sunday became a day where people would break from their fasting. In the UK Mother’s Day has always been associated with Easter (by the way, have you seen our Easter experience in London?) as the date always falls on the fourth Sunday during the period of Lent. Nowadays, many people make a big effort to visit their Mums with Mother’s Day gifts such as flowers, chocolates or a special meal, but who wants to give their amazing Mum an ordinary gift? Why not treat your Mum to something different this year? 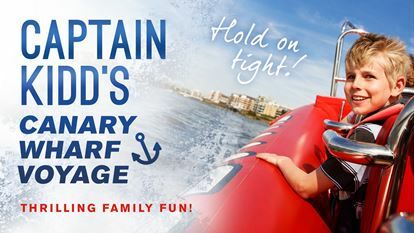 Something fun and exhilarating whilst sightseeing around the UK’s greatest and most iconic city – London! 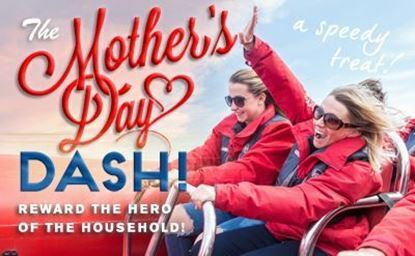 The only London Mother’s Day idea which fits is a special Thames speedboat ride down the most famous river in the world - the perfect gift for any Mum to let her hair down and have some fun! This fun-filled experience departs from The London Eye Pier where you can take lots of selfies and pictures of the amazing tourist attractions around the city including; the Houses of Parliament, Tower Bridge, The Tower of London, Canary Wharf and lots more. Then it’s time to make Mum’s hair stand on end as we whisk her on a 30 knot exhilarating speedboat ride around Canary Wharf. With Mother’s Day music blasting from the speakers this is the time for Mum to really party! So what are you waiting for? With only two days to go, tickets are selling out fast. So be sure to book your Thames Rockets Mother’s Day Dash to give your Mum the treat she truly deserves this Mothers’ Day (no matter how old you are!). Oh and have you heard? Mum’s ticket will be automatically deducted at the checkout, meaning Mum goes FREE! Don’t tell her though – we’ll leave you to take the credit.